Lake Titicaca – is a lake in the Andes on the border of Peru and Bolivia. It sits 3,811 m (12,500 ft) above sea level, making it the highest commercially navigable lake in the world. It has a surface area exceeding 8,300 square kilometres (3,100 square miles). 25 rivers flow into the lake, and the meandering coastline of the lake forms numerous peninsulas and bays. There are numerous settlements of the Quechuas and Aymaras around the lake and on the islands. Part of the population lives on the artificial islands of the Uros made of floating reeds. The lake has about 40 islands, some of them belong to Peru, others – to Bolivia. Taquile or Intika is located opposite Chucuito and Capachica. The taquiean Island has an area of 5.72 km². Taquile is famous for its ethnical cultural values, which can be seen in its rich weaving and textile traditions. In 2005, "Taquile and Its Textile Art" were honored by being proclaimed "Masterpieces of the Oral and Intangible Heritage of Humanity" by UNESCO. Floating reed islands Uros (Islas flotantes de los uros) – is a group of 40 or so artificial islands made of floating reeds, which abound in the shallows of the lake. According to legend, the Uros had to run here to avoid confrontations with Inka Pachakutec. This nation hands down their legends through their generations and traditions to keep them. Uros practice a traditional way of life that includes fishing and hunting. They use reeds not only in erection of islands, but they also build houses, boats and make souvenirs. Much of the Uros' diet also revolves around these totora reeds. Amantani is the biggest island on the Peruvian side of Lake Titicaca. The island is about 9.28 km² in size. It is located opposite the Capachica Peninsula in the Puno province. Anapia is an island about 3,4 km2 in size. The city of Anapia, which is a capital of the main Anapia region of Yunguyo is located on this island. It is the second biggest island of Winaymarka Archipelagos. Yuspique is the biggest island of the archipelagos. It is about 3.20 km2 in size. It is a part of Anapia island region. 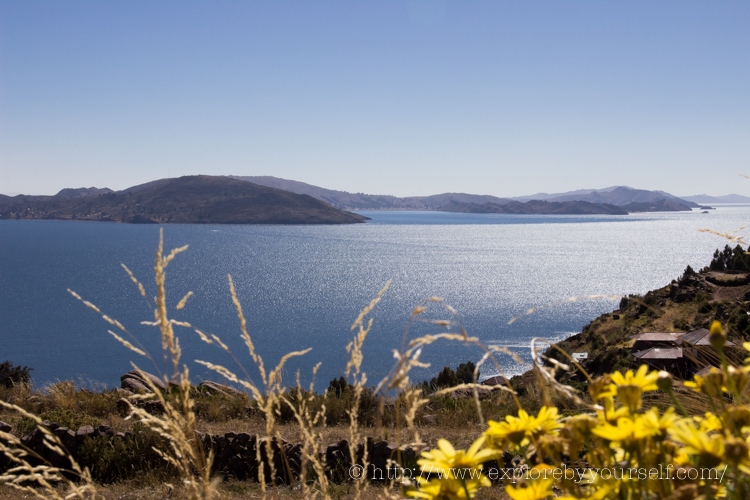 However, travellers are attracted to Titicaca Lake for its beauty, and rich flora and fauna, as well as its historical significance and legends. According to legend, this lake was the birthplace of civilization. In Andean mythology Lake Titicaca is considered to be the origin of the Incas. There are a great number of legends about the birth of divine ancestors in this lake. According to one of the legends the first Inca Manco Capac the son of the Sun and the Moon and his wife Mama Ocllo, emerged from the depths of Lake Titicaca to found the city of Cuzco. In another version of this legend the Incan ancestors – four siblings and their sister-consorts emerged from the cave in one of the islands of Titicaca Lake. One of them was Manco Capac who founded the city of Cuzco and laid the foundation of the Incan Empire. However, these territories were populated long before the Incas. Around 200 B.C. Tiahuanaco (or Tiwanako) civilization colonised the shores of the lake and built a city about 20 km southeast from the lake. Gradually the city expanded and covered the area of 450,000 sq./m; it included all that you would expect to find in a modern city: religious, administrative, military, residential, food storage buildings and trade quarters. This civilization fell into decline sometime soon after 1000 AD and gradually disappeared. But the glory of this civilization was so formidable that it lived until Incan times. The Incas admired it and tried to restore the monuments. The name of the city at the height of its power is unknown. Today it is called Tiahuanaco, from the name of the civilization that created this city. 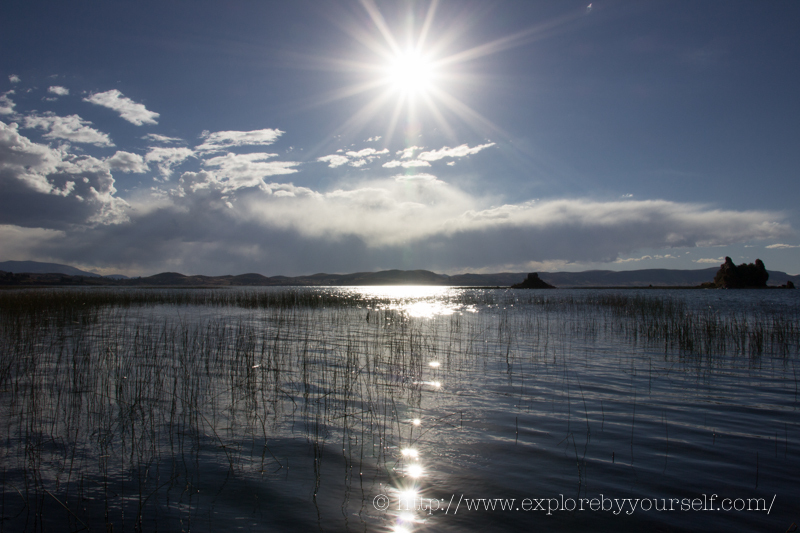 The nearest town to the lake is Puno. You can get to Puno by bus from Cuzco (400 km/8 hrs of travel) or by plane from Cuzco, Arequipa or Lima to Juliaca airport (1 hrs from Puno).